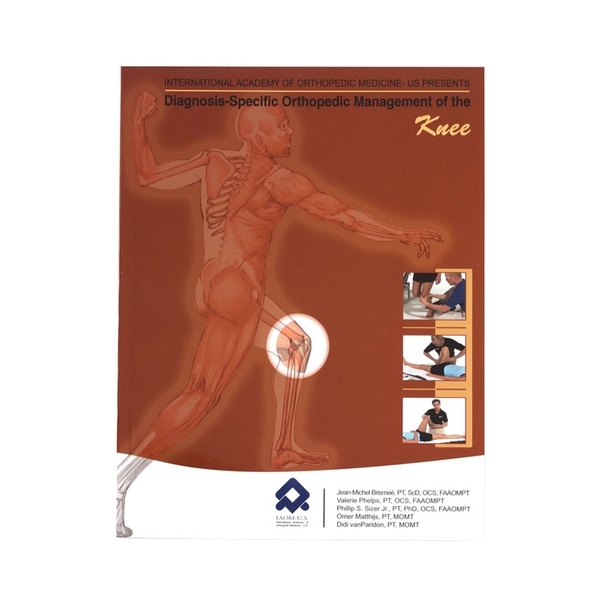 The IAOM-US presents evidence-based examination procedures and diagnosis-specific management strategies for the knee. Streamline your methodology for treating knee pathology using the International Academy of Orthopedic Medicine-US method of systematic evaluation and diagnosis. Become the expert in your community. Illustrated. Softcover, 289 pages. This is one of the most comprehensive books on differential diagnosis of the knee I&apos;ve seen. The material is presented clearly and references to research are included throughout the text. I highly recommend this book as well as the corresponding text on examination of the hip.